In another historic first for Philippine boxing, two brothers will fight for world title belts on the same month against Japanese champions. Vic Saludar (17-3,10KO’s) will challenge WBO minimumweight champion Ryuya Yamanaka ( 16-2,5KO’s) on July 13 in Kobe, Japan. 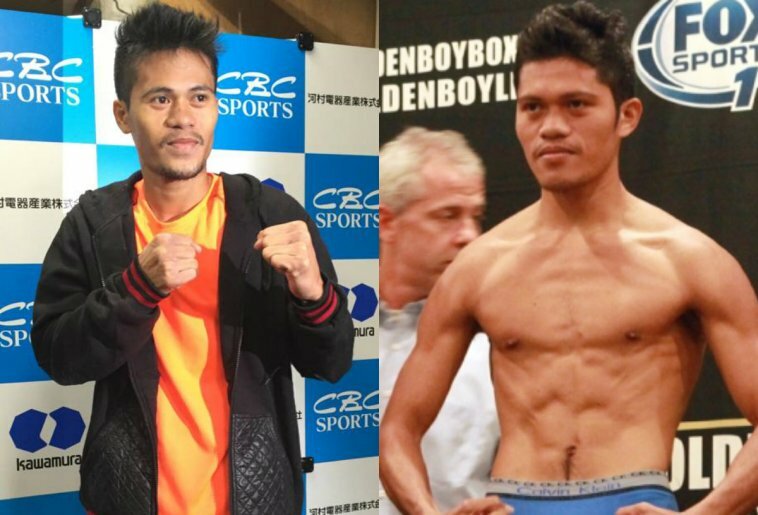 Then on July 27, Froilan Saludar (28-2-1,19KO’s) will go for the WBO flyweight title against reigning champion Sho Kimura (16-1-2,9KO’s) in Xiamen, China. Yamanaka won the title last year by unanimous decision against countryman Tatsuya Fukuhara. This will be the second defense for Yamanaka, having stopped Mexican Moises Calleros in eight rounds last March. Vic Saludar challenged Japanese Kosei Tanaka for the WBO world minimumweight title on New Year’s Eve 2015 and was leading on the scorecards and even knocked down the Japanese in round five before he succumbed to a hard body shot in the subsequent round. Vic has since gone 6W-1L since the Tanaka fight and is currently ranked number three in the June 2018 ratings of the WBO. Froilan Saludar has scored five straight wins by KO/TKO since the loss to Japanese Takuma Inoue in a non-title bout two years ago. The June 2018 rankings of the WBO has him at number four. Kimura is well known in China, having dethroned Chinese boxing hero Zou Shiming last year by 11th round TKO. He defended his title once against countryman Toshiyuki Igarashi last December by 9th round TKO. This historic Japan vs Philippines match-up in July has been given the green light by the World Boxing Organization (WBO). The Saludar brothers are managed by Kathy Rosillo and promoted by Kenneth Rontal. They are training in Gen.Santos City with coaches Michael John Palacio, Boy Donaire and Ariel Saludar. The China bout is promoted by Top King Promotions’ Wang Fei and Liu Gang.